It would be a huge understatement to just say that I’ve been behind on blogging lately. Or a downright lie, actually. Well, it seems that’s what just happens sometimes: day after day hits you with stuff you’re barely able to control as it is and writing a post seems to be an activity from another, somewhat better, life. Still, while unable to deal with editing, organizing paragraphs and shuffling pictures, I’ve managed to acquire heaps of material that I hope to get back to at some point. 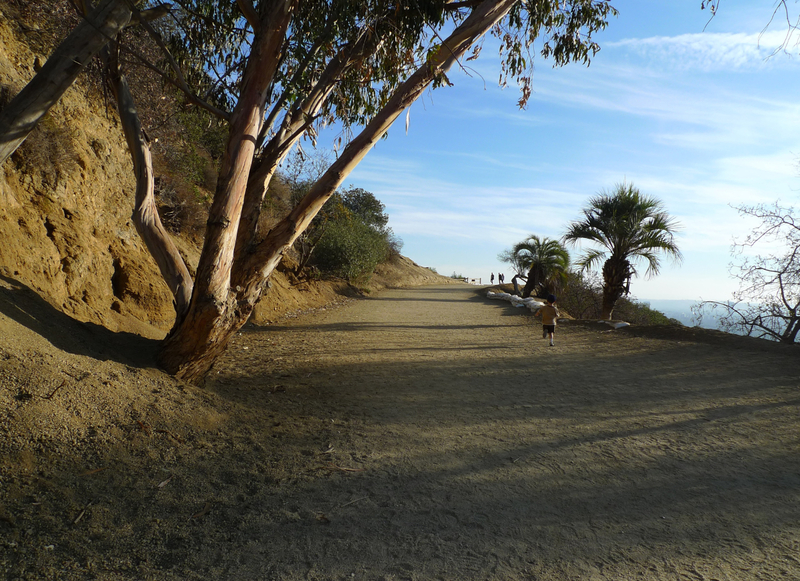 For now I’m going to concentrate on this: the LA’s Runyon Canyon Park as of late November 2014 (talk about burning all those additional calories from Thanksgiving!). 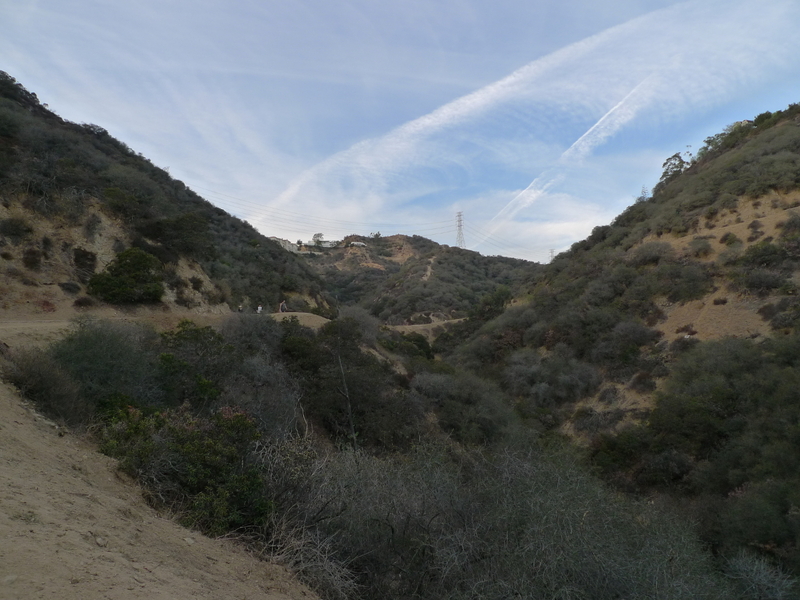 Just a half-an-hour bus ride away from the city center (which pretty much makes me an outlaw for not visiting it earlier), the 130-acre park was purchased in 1984 by the Santa Monica Mountains Conservancy and the City of Los Angeles. Until then, it belonged to a long list of private owners, the first of them ‘Greek George’ Caralambo, who received the 160-acre parcel in appreciation for his service in the US Army Camel Corps. 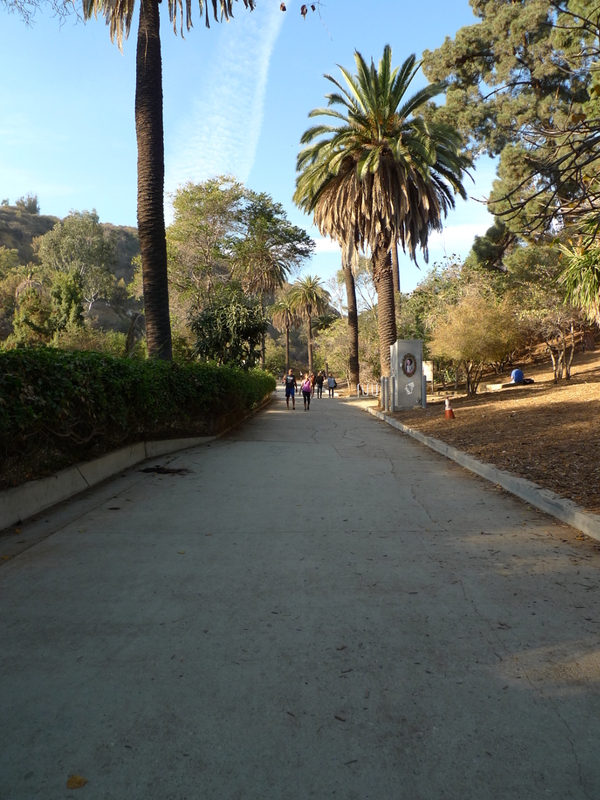 Subsequently, the property was bought in 1876 by Alfredo Solano, a civic leader and one of the founders of the Los Angeles Athletic Club, who held the canyon as the investment until his widow sold the majority of the land in 1919. 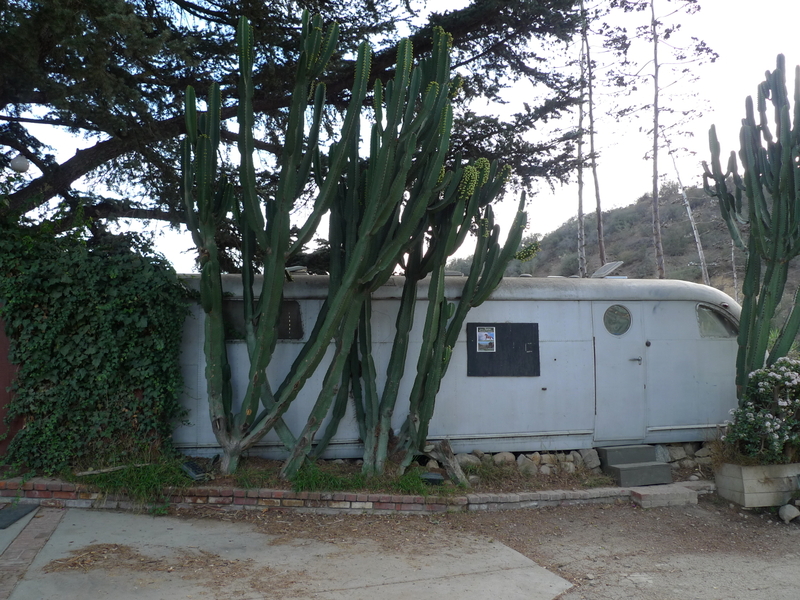 From then the park belonged to Carman Runyon, recently retired from a successful coal business, who used the canyon for horse riding and hunting, built a small bungalow near the Fuller Avenue entrance, and lent it his name before selling it in 1930 to John McCormack. The famous Irish tenor was charmed by the estate from the time he was filming ‘Song O’ My Heart’ there in 1929 – the salary for the picture was enough to purchase the property and build a mansion called ‘San Patrizio’ on it. Then, after McCormack returned to England in 1938, the property was bought in 1942 by Huntington Hartford. 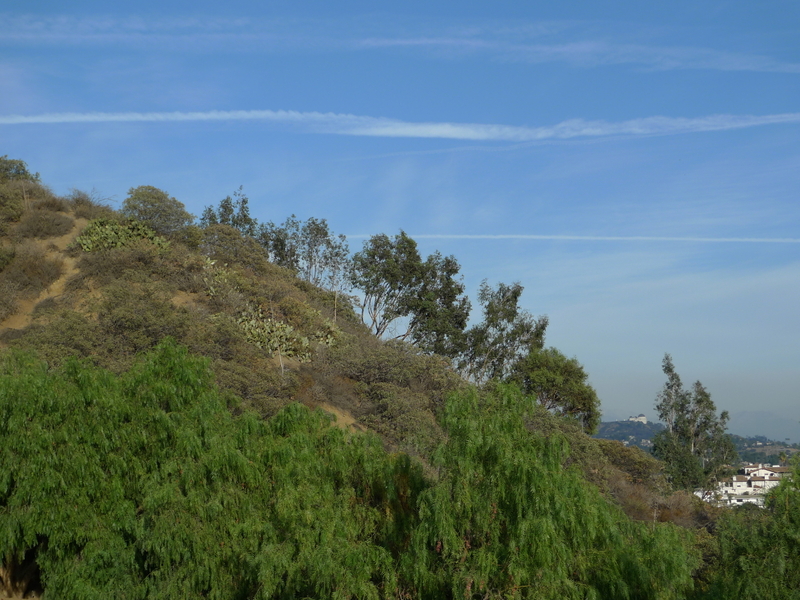 Amazingly, after unsuccessful attempts – opposed by the community – to transform the park according to visionary projects by Frank Lloyd Wright and his son Lloyd Wright, including a ‘cottage hotel’ lower canyon, a futuristic ‘play resort’ country club on the ridge, galeries in the canyon, and a pool pavilion on the crest of the hill at Inspiration Point (only the last of which had been built), Hartford offered the property as a gift to the city in 1964. Even more amazingly, the offer was turned down! Disheartened by continuous refusals and problems with obtaining the necessary permits, Hartford decided to abandon the park altogether and sold it at a low price to Jules Berman. Berman planned to build a ‘Huntington Hartford Estates’ development, which he himself described as a ‘Tiffany development, a beautiful subdivision of 157 luxury homes’. In order to avoid paying taxes on deteriorating structures, he razed San Patrizio and the guest houses (the pool-house remained until it was destroyed by fire, leaving nothing more than its natural stone foundations). Berman’s project was opposed by Daniel deJonghe, a park activist, and it was stopped in 1978, before construction could begin. 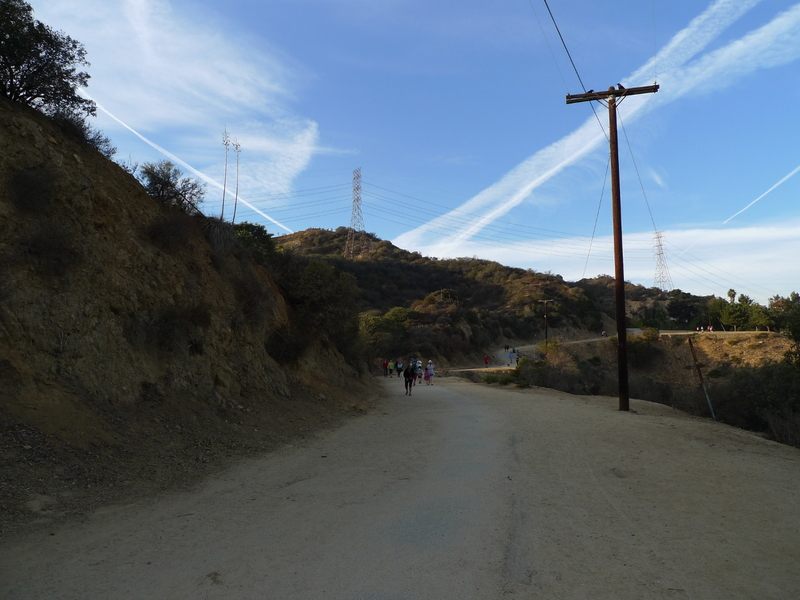 As of today, the Runyon Canyon is among the most popular hiking destinations in LA. 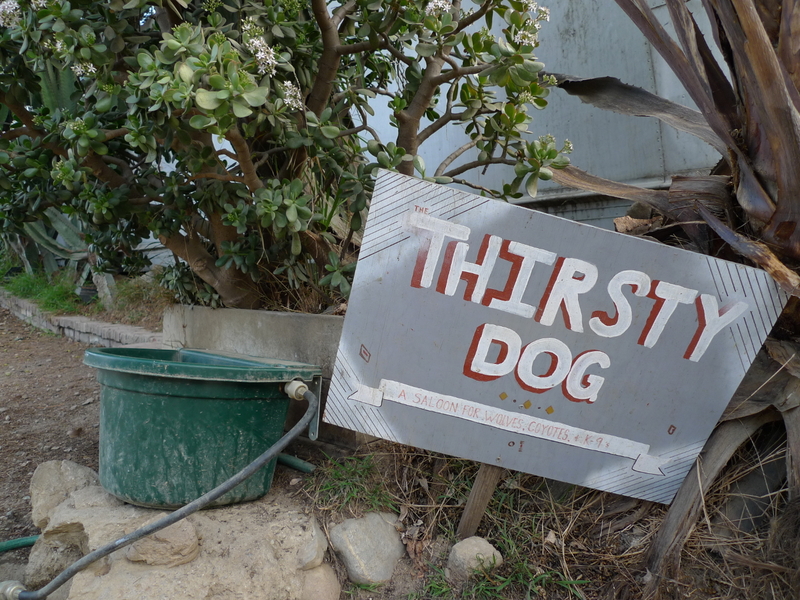 The majority of the trails are wide dirt and paved fire roads, making it an easy choice for families and dog owners. It ensures quick gratification, too: after only 0.45 miles one reaches the first observation point, the so-called Inspiration Point. 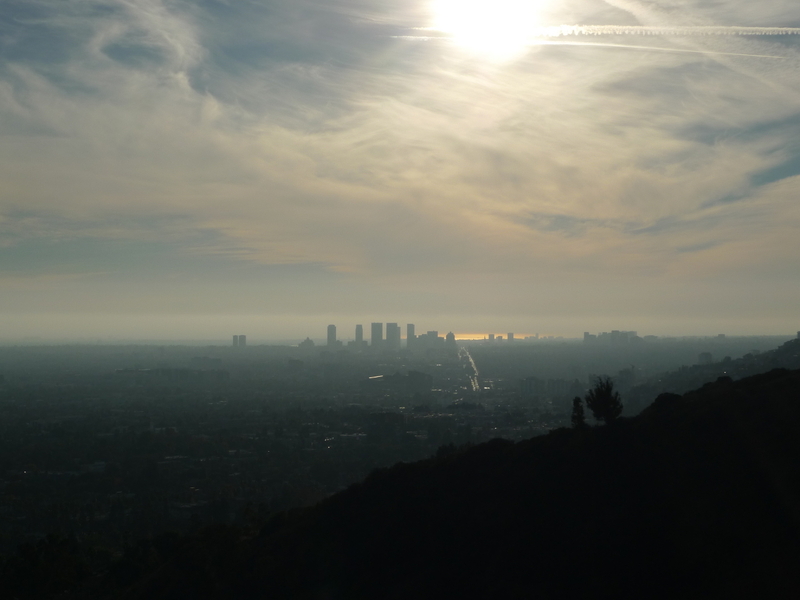 Downtown LA as seen from the Inspiration Point. 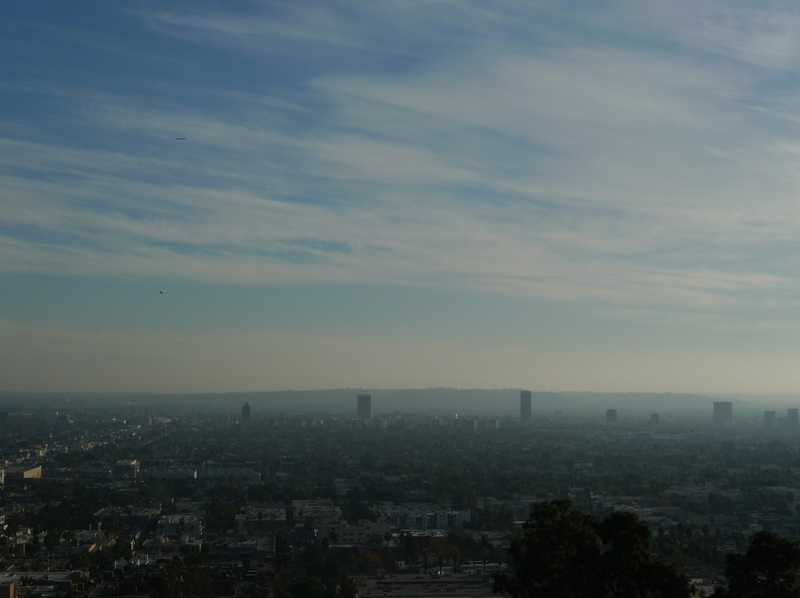 The Griffith Observatory, seen in the background, is on my list of places to visit. 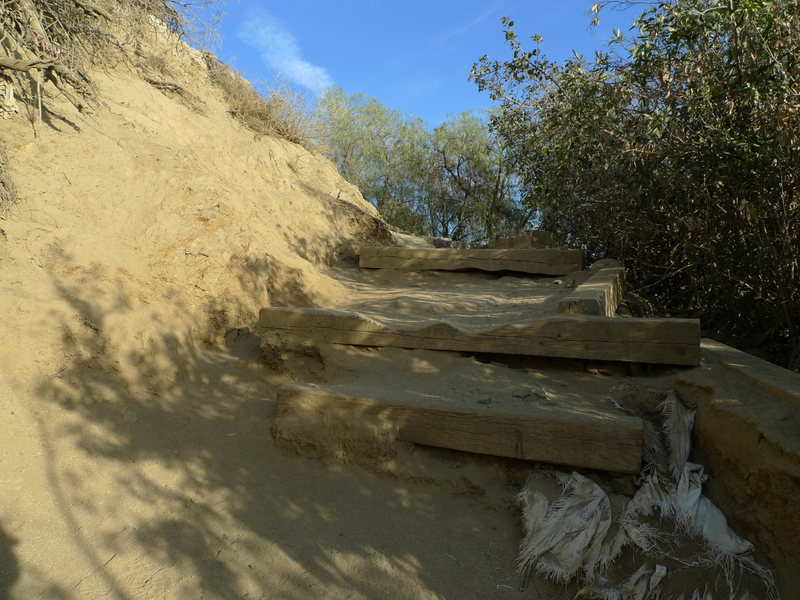 From the Inspiration Point the road makes a steep ascent up the ridgeline, eased up a little with wooden steps. A third of a mile further, or 340 feet higher, one makes it to a second viewpoint, Clouds Rest, which overlooks Los Angeles from an elevation of 1,040 feet. 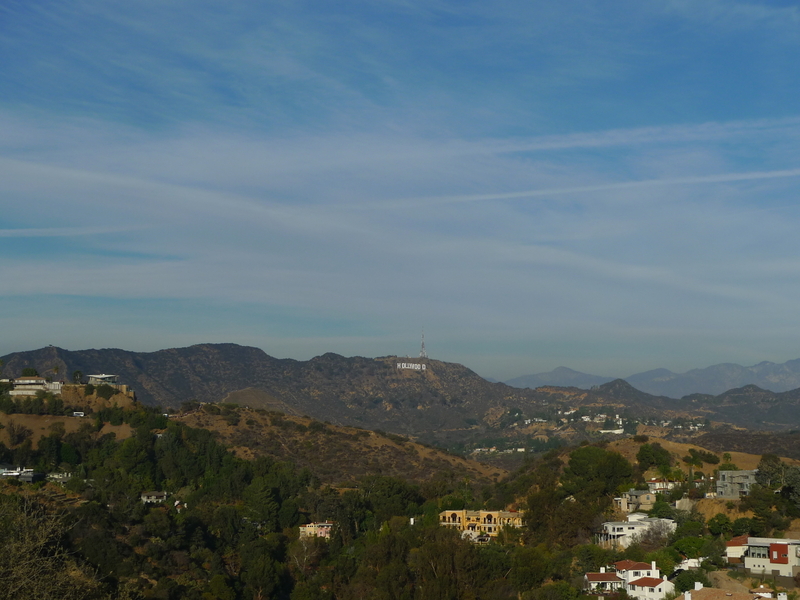 Here it is possible to spot the Griffith Observatory or the Hollywood sign, not to mention all the humongous mansions scattered throughout the Hollywood Hills. Beyond the Clouds Rest the trail reconnects with the Runyon Canyon Fire Road. 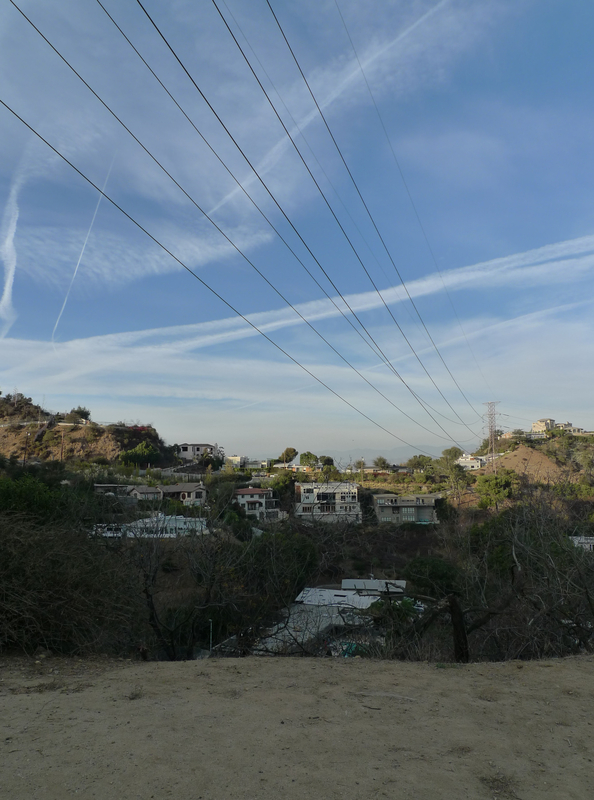 We took it lightly and continued to walk down this road until we reached the exit onto the famous Mulholland Drive, when we turned around and walked back to the Fuller Avenue entrance. Thus we missed the view from the top, but we still enjoyed ourselves an awful lot! 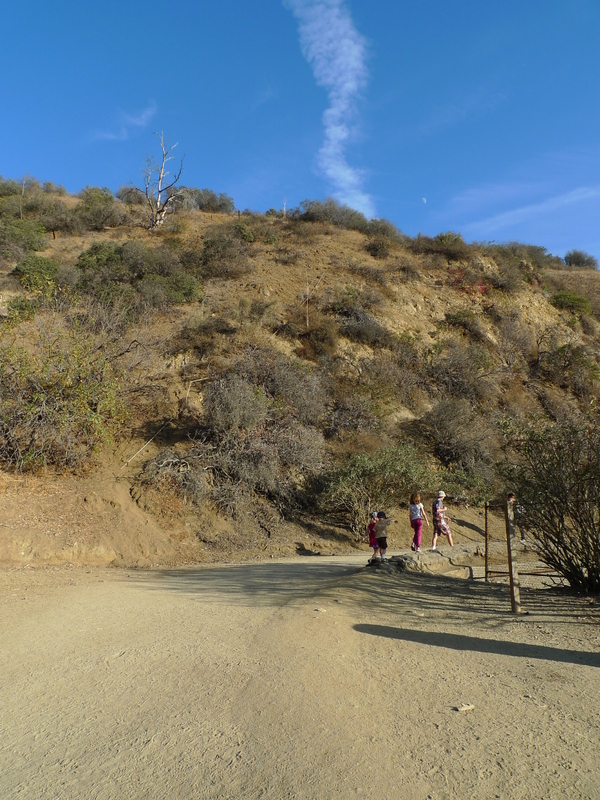 Part of the Runyon Ranch. 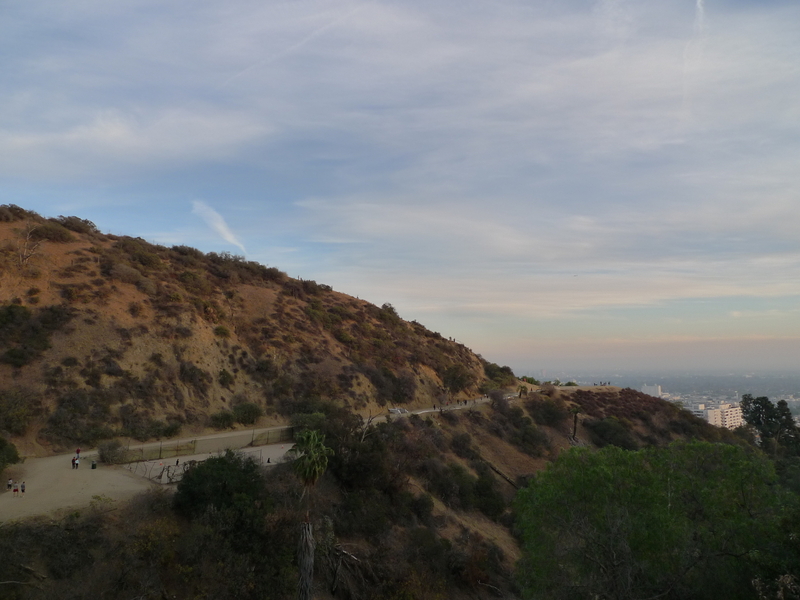 A view towards the Mulholland Drive. When we were going back, the sun was about to set, which created a lovely golden glow. LA is truly perfect sometimes! 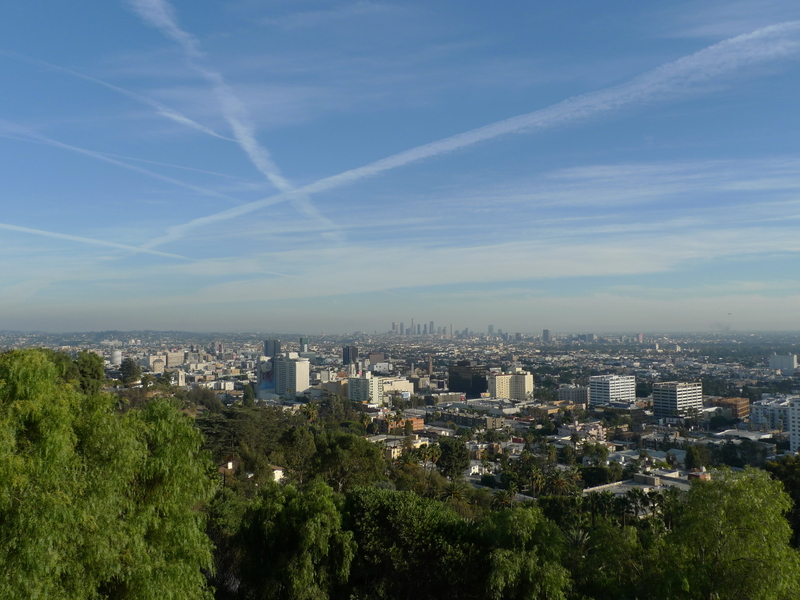 This entry was posted in Hollywood Hills, Los Angeles, Runyon Canyon Park, Travel and tagged Hollywood Hills, Los Angeles, Runyon Canyon Park, Travel. Bookmark the permalink.